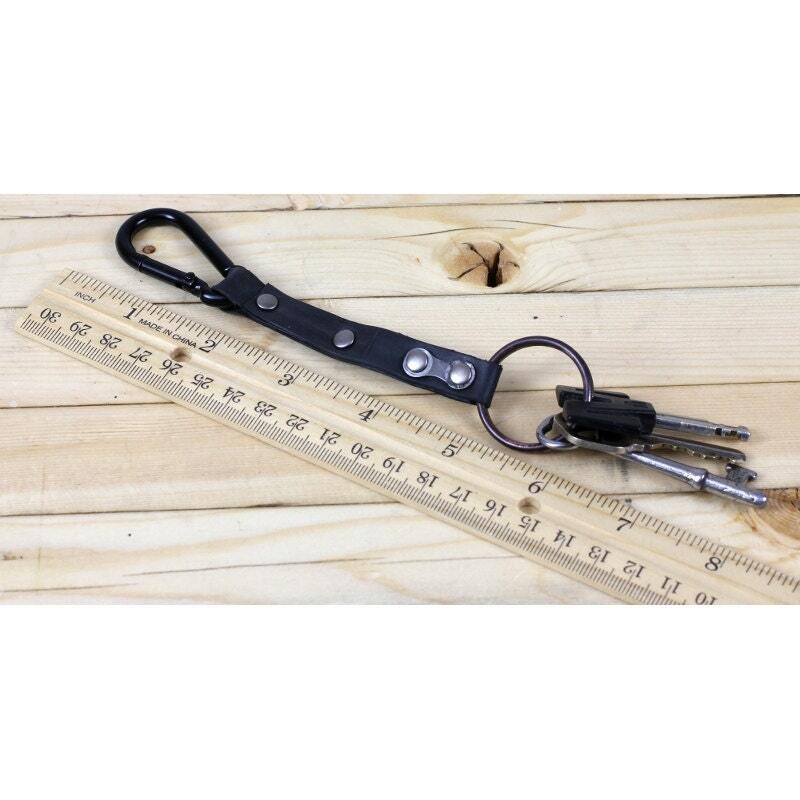 This minimalist key fob is 6 inches long with a 1/2 inch wide strap. 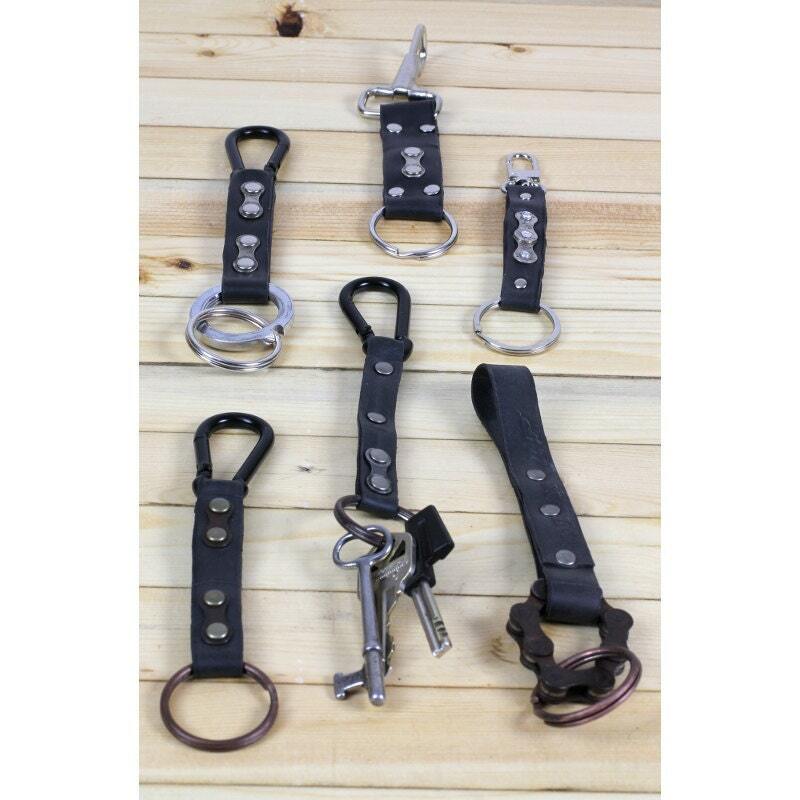 It's adorned with a nickel-plated Z chain link and four silver tone rivets. 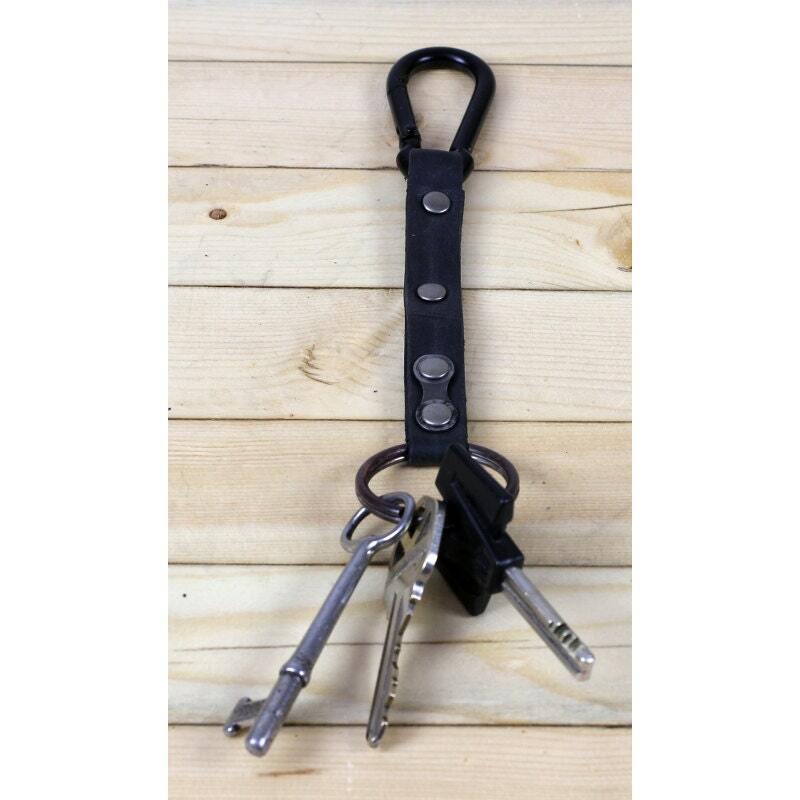 A black carabiner attaches your keys to almost anything. 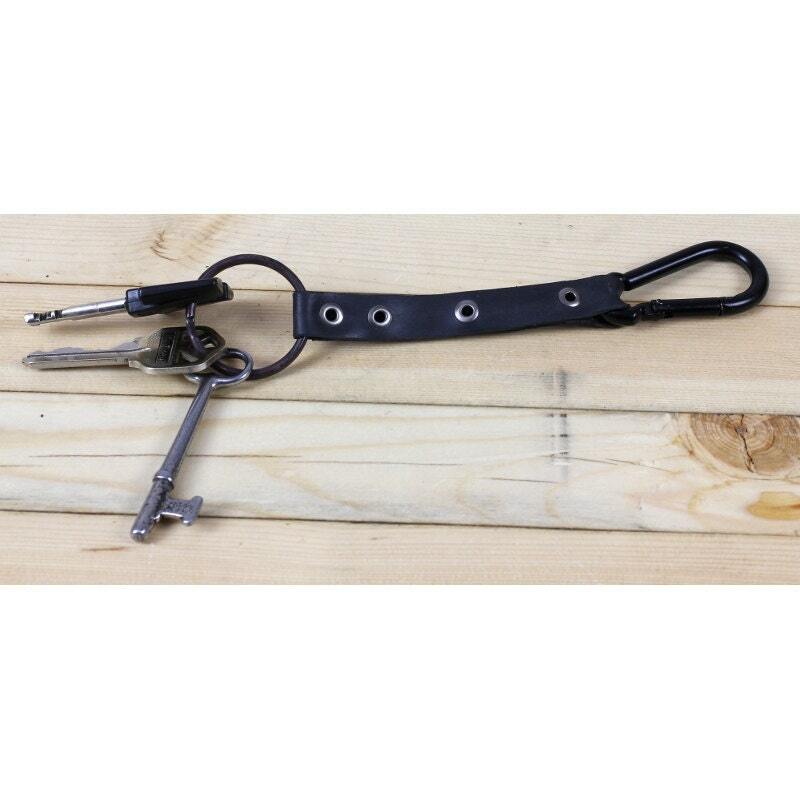 The 1 1/4 inch key-ring is dark and coppery. Rubber tubes are hand-cut along their seams.